There is something truly amazing about great tattoo designs and at least for me, the best tattoos do not have lots of color but a clean monochromatic line with a special design. 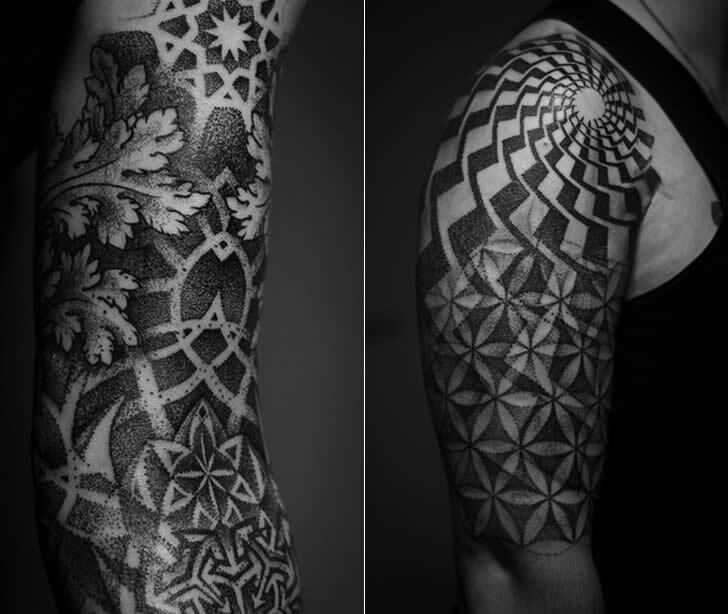 Here are some ideas to tattoos that also look like sleeves. They are made with clean black lines and using the anatomy of the human body. These are great designs that you will love.